Ancient Aliens or a Lost Civilization? 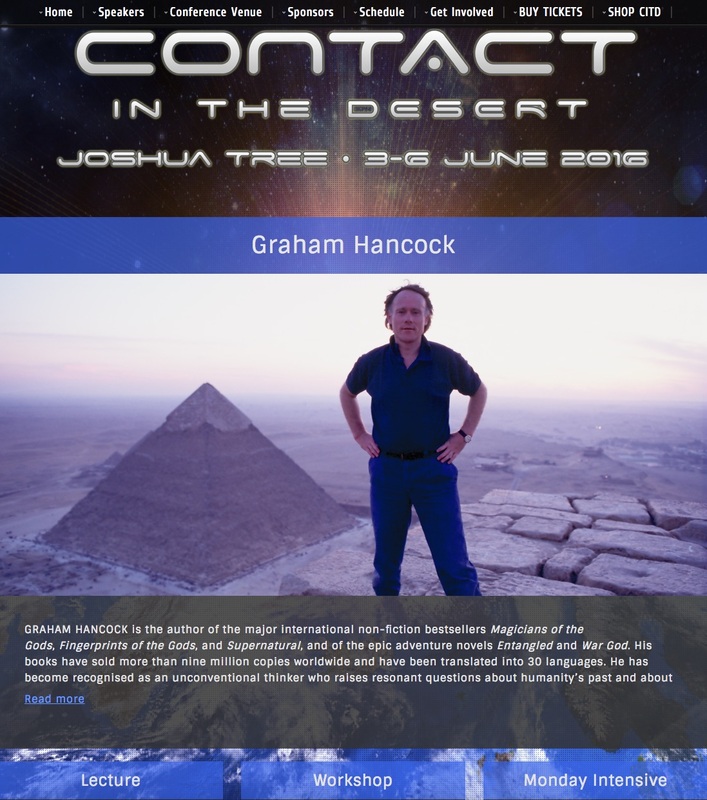 Contact in the Desert has been described as the “Woodstock of UFO Conventions”, and is focussed on encounters with aliens, and — in terms of human history — on the “Ancient Astronaut” theory. I am quite sure that the phenomenon currently construed as visitors from other planets in unidentified flying objects is completely real but I also think is it MUCH more interesting, and MUCH more mysterious than just physical beings a bit like us but with higher tech. We have a MYSTERY here. We should not impose our own preconceptions on it but allow it to speak for itself. As regards the “Ancient Astronaut” theory — I simply don’t need it. All of the anomalies of history and prehistory pointed to as evidence for their case by Ancient Alien enthusiasts are — in my view — better explained as the traces of a lost human civilization of pre-historic antiquity. So, although I hear rumours that I am to be lynched at Contact for not buying into the whole ancient astronaut package, and particularly for disputing Zecharia Sitchin’s “translations” of cuneiform texts and the whole Anunnaki/Nephilim meme, I will be there to speak my truth: http://contactinthedesert.com/grahamhancock/. On Friday June 3rd, from 2pm to 3.45 pm I’ll be giving a lecture in the main conference hall, open to all, entitled “Ancient Astronauts or Lost Civilization”, I’ll also be presenting a Workshop on Saturday June 4th from 10.30am to 12.30 entitled The Consciousness Connection: Psychedelics, Entities, ‘Dark Matter’ and Parallel Dimensions. And on Monday June 6th, 9 am to 12 noon, I’m holding an open house “Intensive” for discussion with both supporters and critics of my work — let’s discuss everything! 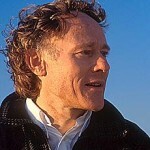 Details for registration at my workshop and intensive can be found by clicking this link: http://contactinthedesert.com/grahamhancock/. Hope to see you in the desert!! Mr. Hancock. One of the things that I found admirable in your work is courage. It is a rare commodity and to be congratulated. Your willingness to state your views and conclusions regardless of common opinion make your writing worth reading. The tragedy of the times is that there are a great number of people who resort to ad hominem attacks or worse attempt to block expressions that they disagree with. I hope that the community of people who will be attending this conference prove to be above the what passes for counter argument these days. I wish you well and look forward to reading transcripts or seeing video of what you have to say. Thanks for taking a stand for rational discourse. Mr Hancock i have seen a UFO in broad daylight so i know the things are real but i can heartily verify i do not know who was flying it which is a whole other topic. However i strongly lean in the direction of a lost civilization once inhabiting this Planet and we are in fact in a collective amnesia as you have stated. I just listened again to Linda Moulton Howe talking about the Alaskan Pyramid which is supposedly buried 150 feet underground. I searched on maps of Pyramids and none of them appear to be above the line of the last Glacial period if it an accurate map so that means if the Alaskan Pyramid is real it could well have been there before the 2 mile high ice cap engulfed the region which would put it at least 110 000 years old. Also check this article out with Merrell Fankhauser where he talks about the Pyramid in Hawaii and it has a picture of it. I am in complete agreement that the many anomalies more likely point to humanity’s distant antiquity, though I have to at least applaud the Ancient Astronaut theorists for asking the right questions and seeking a better understanding of the current failing paradigm. If there is any group of researchers that take a more offensive response from scholars and academics than yourself, it would have to be the Ancient Astronaut theorists. I keep up on their theories as they are fascinating and are investigating the right topics and enigmatic gaps in our current historical view; even if I do not agree with their conclusions. I hope that instead of lynching you, they instead engage in reasonable academic debate over the facts. I truly believe that both parties have the potential to learn a great deal from each other, especially with so much that could be agreed on by both sides. You could be allies and support each other’s investigations and research even though you end at very different points. The tarring and feathering approach only serves to discredit those who use it. “We should not impose our own preconceptions on it but allow it to speak for itself. ” = Excellent point. I personally thank you for the wealth of information that you have provided the world in the many years of your research and work. The crowd at CITD 2015 last year was the type likely to string up from a tree nothing more than prayer flags: gentle hippies with beads, middle class former Trekkies, quirky artists & writers who go to Burning Man (‘Burners’), a few crystal sellers and at least one vendor of blessed water. And the like. Mostly 40+. No thugs or trolls, not even close. If one showed up, he’d likely get hugged into submission by women with colorful tattoos, and led away bashfully to the swimming pool. Not to say you won’t get challenging questions, of course. There are plenty of true believers and strongly held opinions. But you’ve calmly endured the wrath of Hawass, so you’re more than capable of handling anything the mellow Joshua Tree crowd might dish out, imho. Relax and have a wonderful time in that beautiful desert sanctuary. I am so looking forward to this,and Entangled part 2! Hopefully late this year..
Hello graham, i’ve been looking for quest for a lost civilization for ages now & i can’t find it anywhere i use to beable to search and find it on youtube but lately when i look for it can’t find it on line . Is there anything you can do from your end graham ? I saw something just like u did, whatever it is, it plays with me, u and ever1 else. keep the conversation going cuz they can wipe us out again if it (they?) really want to. peace to u o selected one. While I agree that there does not need to be an extrarrestial involved to prove a lot of the lost civilization…the opposite is also too true…there does not need to be a lost civilization to prove extraterrestials…. So find some independent documentations for the other things and start in that direction with independent studies… oh that is what we reall are doing????? Will you be posting these talks? When and where can we find them?